My grandmother is a 100 years old. My grandmother has an incredible story. (I hope to write a book about it one day.) 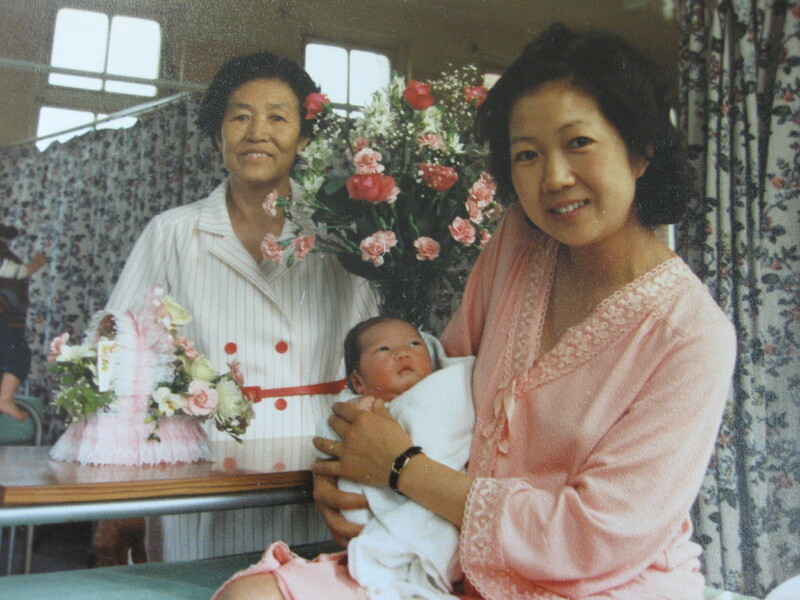 Not only did she give birth to 7 kids, but she fled North Korea before the start of the Korean War while pregnant with my dad, and lost her husband not long after her last child was born. Many years later, with over 20 grandchildren and even great-grandchildren, she moved to New York for a very important reason. She came to help take care of her youngest grandchildren. 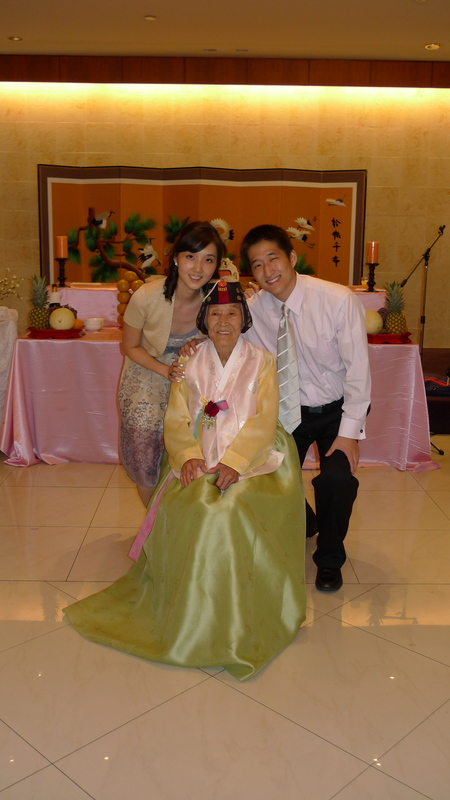 I remember seeing her in our dining room, sitting next to the window, with her glasses on and reading the Korean Bible. 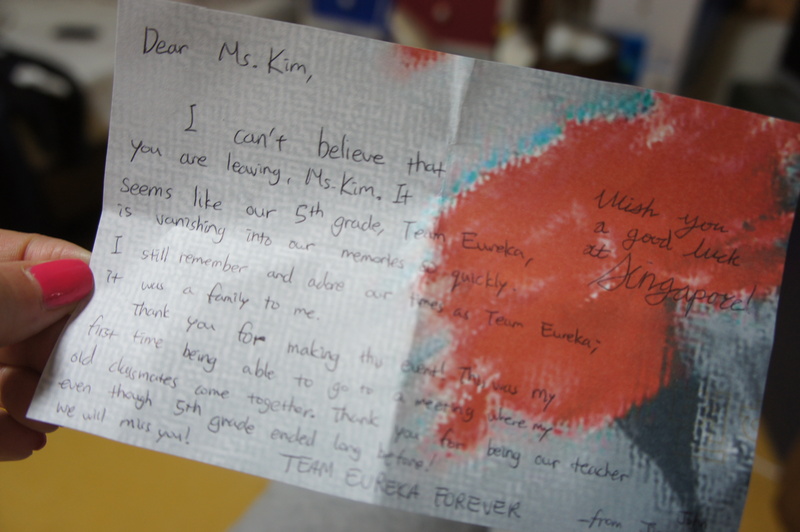 Even though she barely went to school beyond 6th grade, she reads and writes in Korean. She often says how she knows nothing because she didn’t get to finish her schooling. Yet, I think that she knows much more than me. I remember seeing her out in the garden early in the morning to water her vegetables and flowers. Every day, she would go outside, watering the seeds and watching them sprout. In the summer evening, she would pick the fresh lettuce and peppers so we could eat them with our meal. I remember when she would yell and run after the groundhogs that terrorized our garden. Sometimes she took a stick with her to try to scare them away. Yet, they kept coming back, fatter and sneakier. They must have had a bigger family to feed. I remember when she would make us hot rice and then put soy sauce and butter on it. The hot rice with the mixture of the sweet and savory sauce was a treat. It sounds so simple, but at times I long for it. I know it wouldn’t be the same if I made it. It tastes best right after school, made with the hands of a loving grandmother. I remember getting annoyed when she would give me the bigger piece of meat and take the smaller piece for herself. She always wanted to give my brothers and me more of her food. I wished at times she wouldn’t put us before her. She was the one that should be getting the best piece of meat, not us. We didn’t deserve it. My grandmother is the only grandparent I ever got to know. I’m so blessed that she lived with my family growing up in New York. She came to New York to help take care of my brothers when they were born. They are twins and help was definitely needed. Without her help, I’m not sure how my mom would have survived! I can’t wait to see her again in New York this summer. My grandmother was at the hospital in London when I was born! My grandmother’s special birthday celebration a few years ago! No matters how many years I’ve worked as a teacher, handwritten letters and cards are by far the best gift a teacher can receive. I received this letter from one of my students who is an 8th grader now. He was in my first class that I taught here in Korea. He gave me this letter and a present when we had our class reunion a few weeks ago! Seriously, these letters always remind me why I went into this profession even when things seem so stressful and overwhelming. Yes, I only have two weeks left of school, but a million and one things to get done! 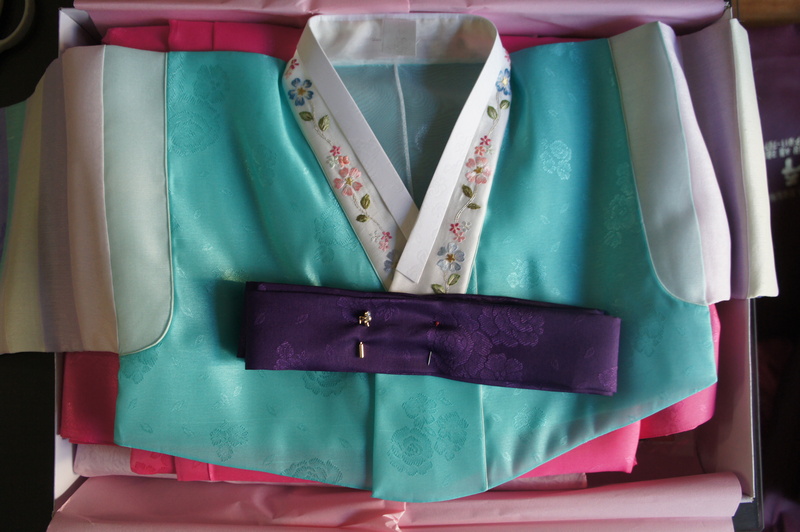 My name in Korean means beauty and wisdom. My name in English sounds ugly. I hated my name. I already knew I was different from my friends. My friends had to take their shoes off when they came to my house. There were weird smells coming from all the kimchi in the kitchen. 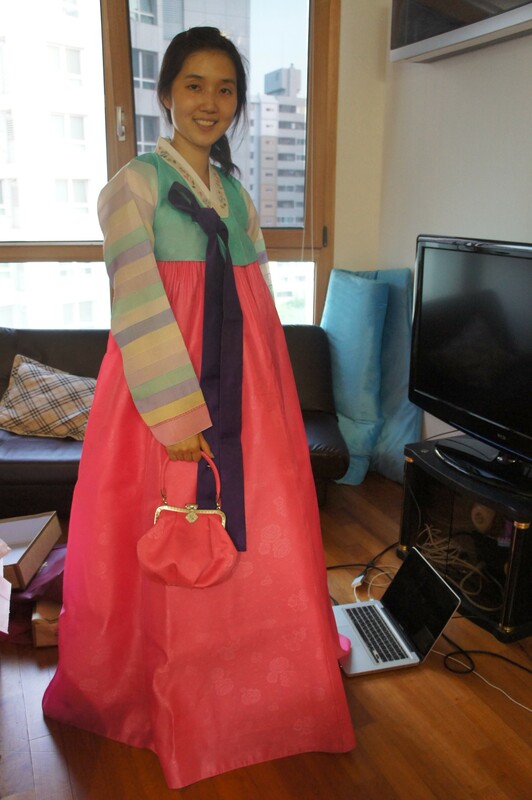 I had to speak in Korean at home. I didn’t need my name to remind me of it. As a little kid, I always wished to buy things with my name on it. I would go to souvenir stores on trip and I would desperately hope to find my name written on the pens, mugs or key chains they sold. However, as I searched through all the J names, there was nothing that resembled my name between Jackie and Jenny. There was no Jee Young. Never. I always dreaded the first day of school. Not because it was a new class or teacher, but because of the role call. I would anxiously sit in my seat, just waiting until they would get to the letter K. Kim, yes, that was my last name, which I secretly wished at times was my first name. As the teacher would go through the list, after saying Kim, sometimes, there was a pause. Other times, there was a joke. “Gee, you must be young…” Or, “Is Young your middle name?” ,”How do you pronounce your name?” Was it really that difficult? It’s Jee Young. No jokes please. No middle name. No silent J. Just say my name. 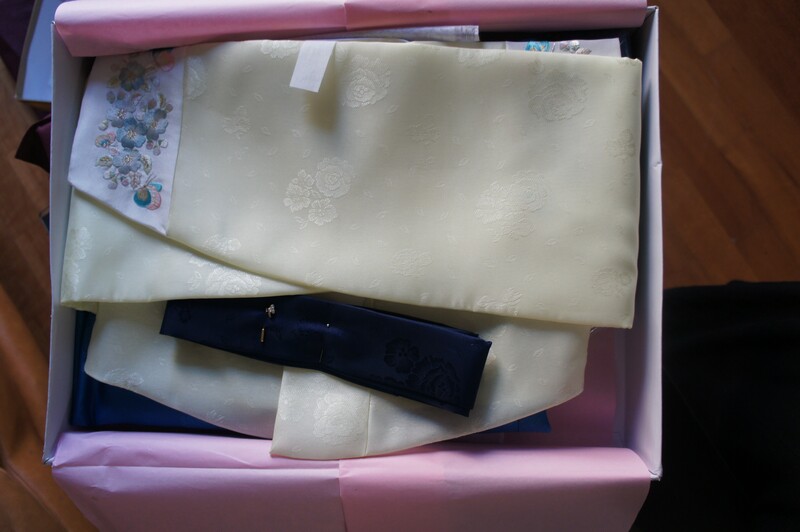 When I turned 17 years old, I became an American citizen. On that morning, my mom mentioned to me that I could change my name. Change my name in a few hours? Why didn’t she tell me earlier? Why didn’t I think of that before? Do I seem like a Jessica? Julie? Jenny? As I stood with my hand up and pledged to be an American citizen, I knew that no matter what the papers said, I still had my name. That was something I wouldn’t change. I was finally starting to like. 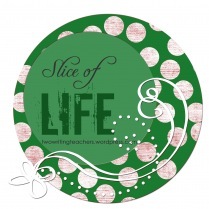 Slice of life challenge is hosted every Tuesday by the Two Writing Teachers. As a New Yorker, I’ve been spoiled with amazing cupcakes. There’s Magnolia’s bakery, Buttercup, Amy’s Bread, Crumb’s and much more. Coming to Seoul, I’ve been disappointed at their attempt at cupcakes. 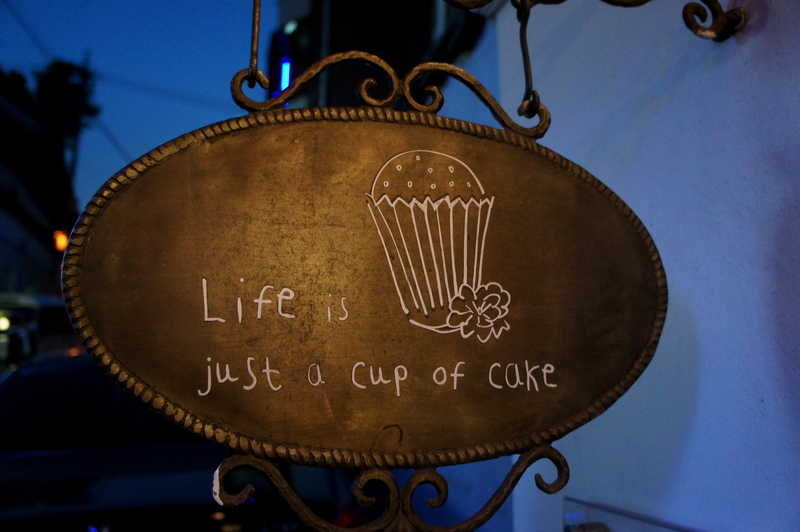 I had been hearing of this place called Life is Just a Cup of Cake in Itaewon. It is known to have pretty good cupcakes. 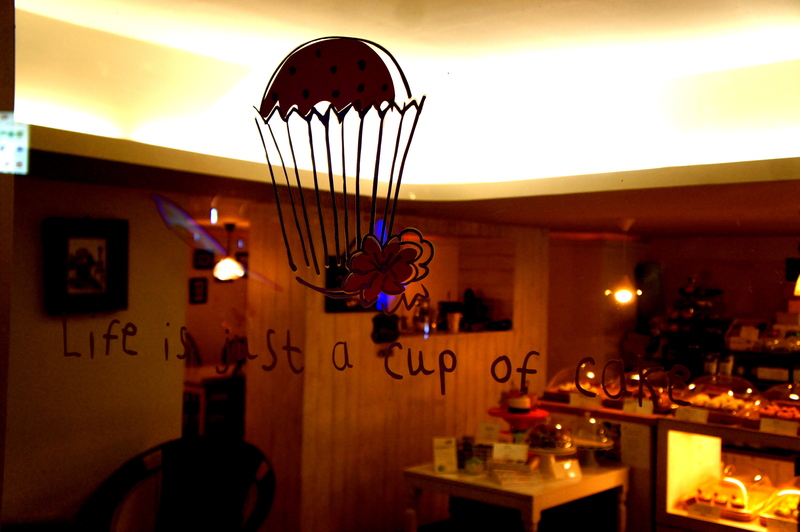 I found this small and quaint cupcake cafe with my friends last week. 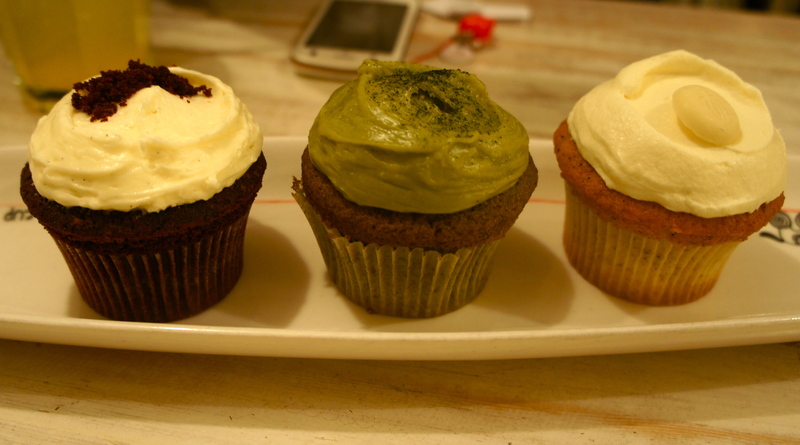 We ordered the red velvet (of course), green tea, and earl grey cupcakes. 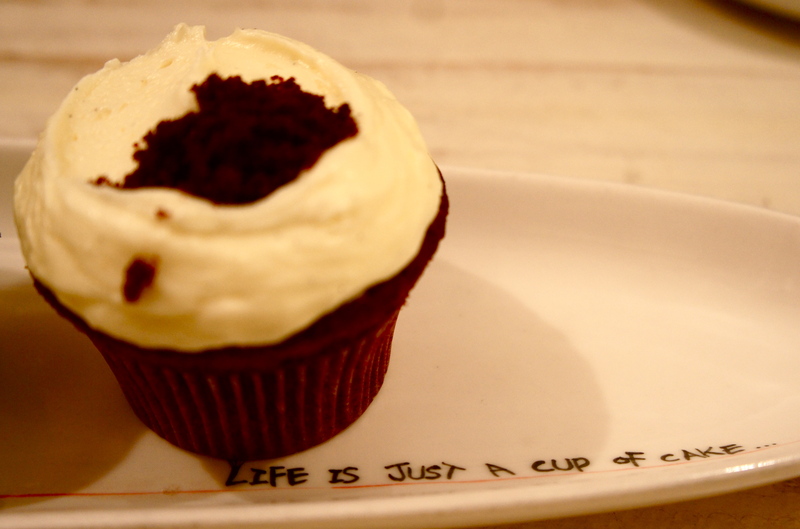 Out of the three cupcakes we ordered, the red velvet was the best. I also did like the distinct taste of the earl grey cupcakes. Get off Itaewon station, exit 2. You’ll see it immediately on the right side. My students noticed the blue card on my student’s desk. It said “Congratulations” and was still inside the plastic sleeve. “Yeah, I’m going to give it to her today,” he replied. I thought it was a bit odd that he would give a card that said congratulations to his mother, but I’ve seen weirder things here. It was finally snack time. My students got out their snacks and were eating. The kids were passing the card around, and the student who had the card, looked over at me ever so obviously to see if I was looking, trying to cover that the other kid at his desk was signing the card. At this point, I’ve already picked up that this card was obviously not for his mother. 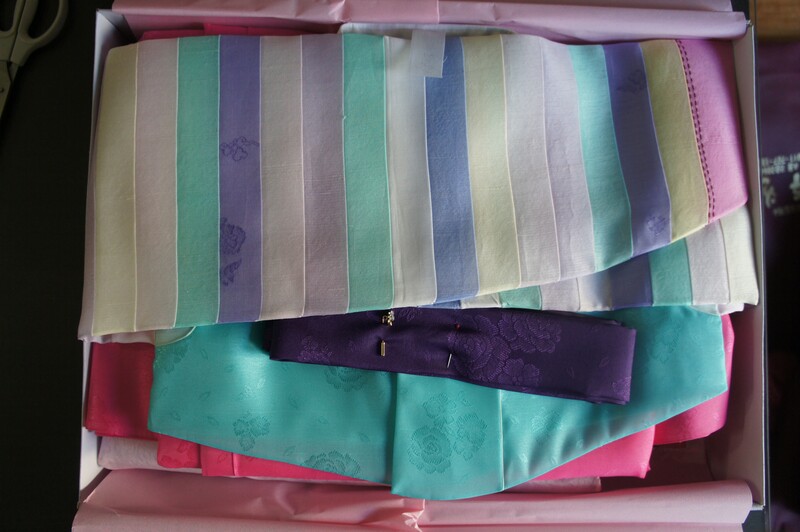 I go back to my desk, pretend to be looking at some things. 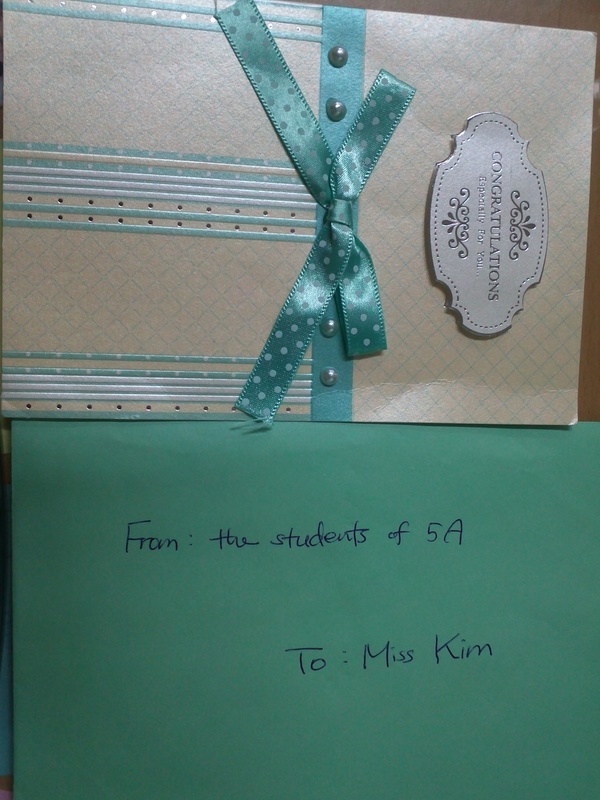 I hear the students whispering to each other saying this card is for Ms. Kim. 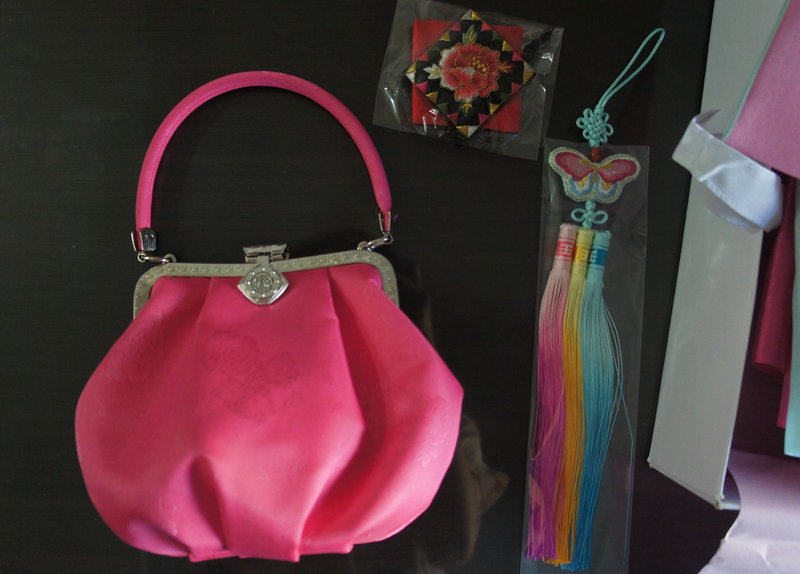 So I received the card this morning with a beautiful orchid plant and some other goodies! 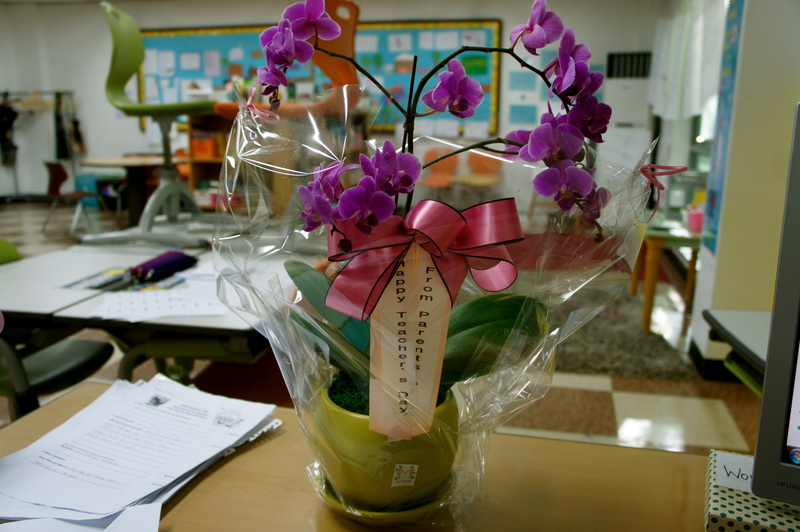 Happy Teacher’s Day in Korea! Make sure to tell your teacher how awesome they are. Slice of Life Tuesdays is hosted by The Two Writing Teachers every Tuesday! 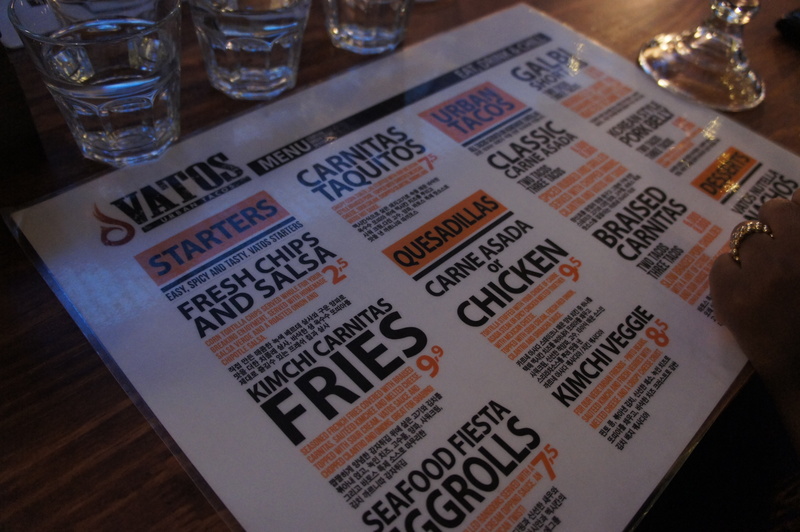 It’s always a treat when I get to go to Vatos in Itaewon. I remember the first time I went on a cold December evening, where my friend Joebo, who was visiting, introduced me to the place. He was friends with one of the owners which is no surprise since most Korean-Americans are connected to each other in one way or another. 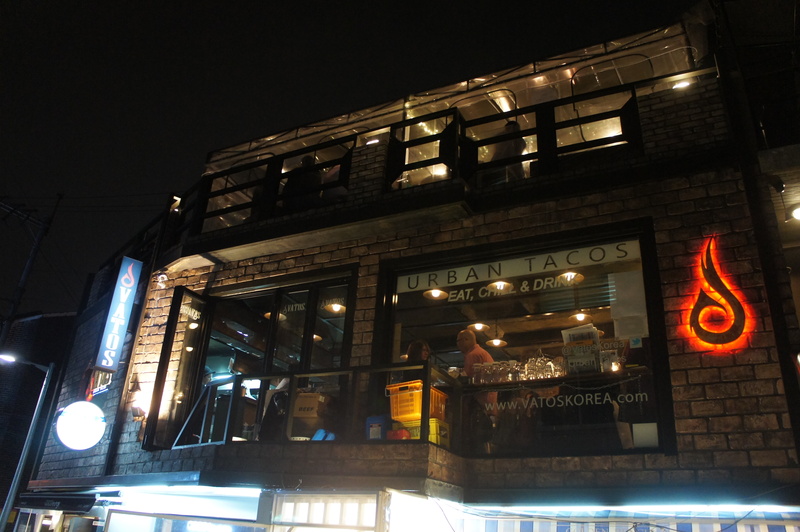 That was when I first tried their kimchi carnitas fries. This is probably the best thing on their menu. Make sure to get the nutella nachos for dessert! 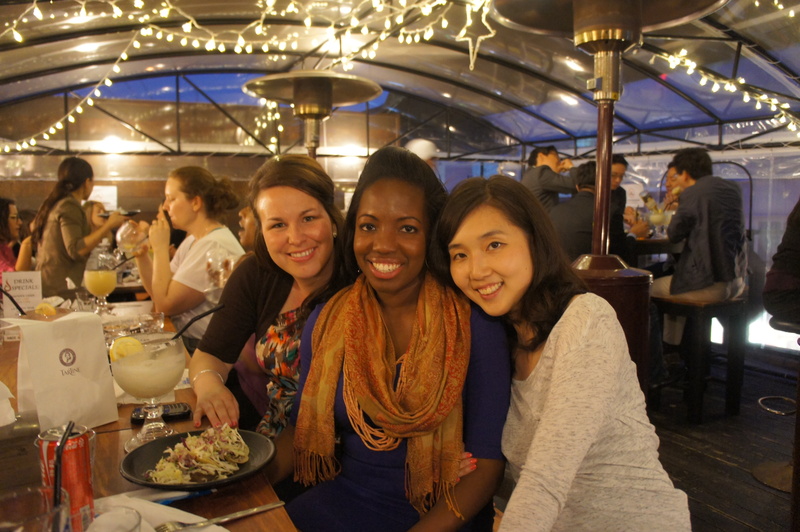 Last Friday, we went there to celebrate our favorite French-Canadian friend Joelle’s birthday. 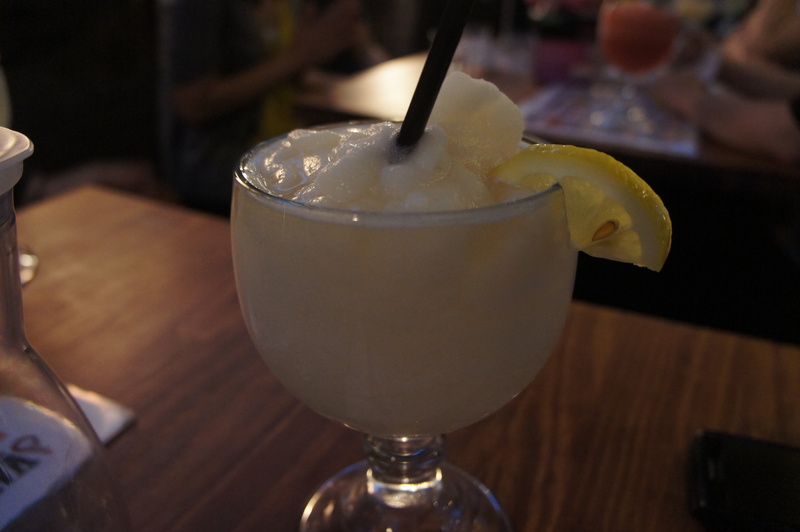 It was a night full of loud laughter, good food and drinks. I’m glad that we could get a reservation for a Friday night! 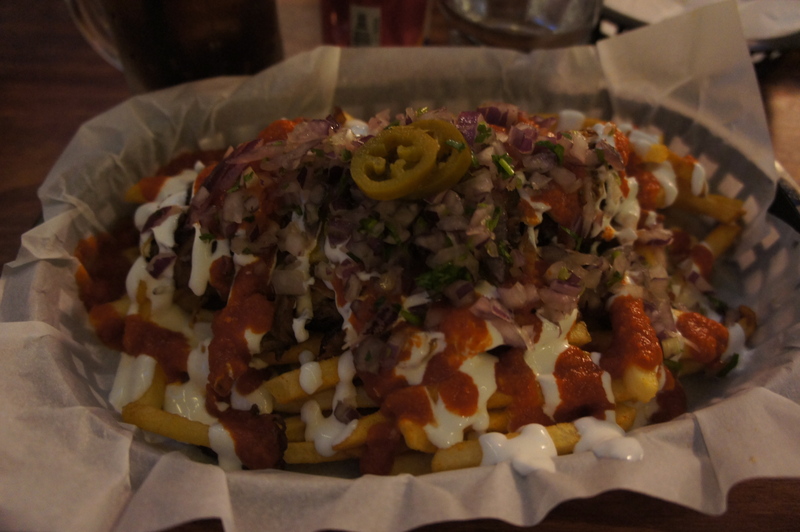 Their kimchi carnitas fries never disappoint! 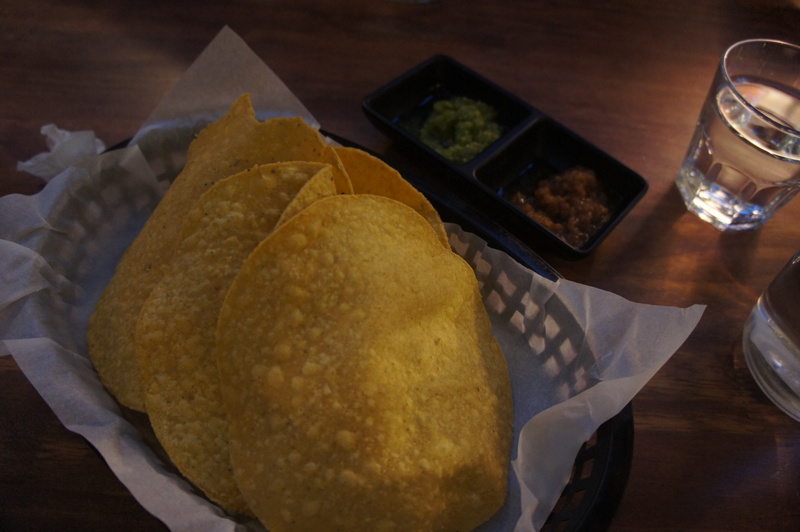 Their tacos are delicious and filling, plus the complementary salsa and chips are an extra bonus. They leave you wanting more. After a lot of eating and celebrating, we left pretty full and satisfied. 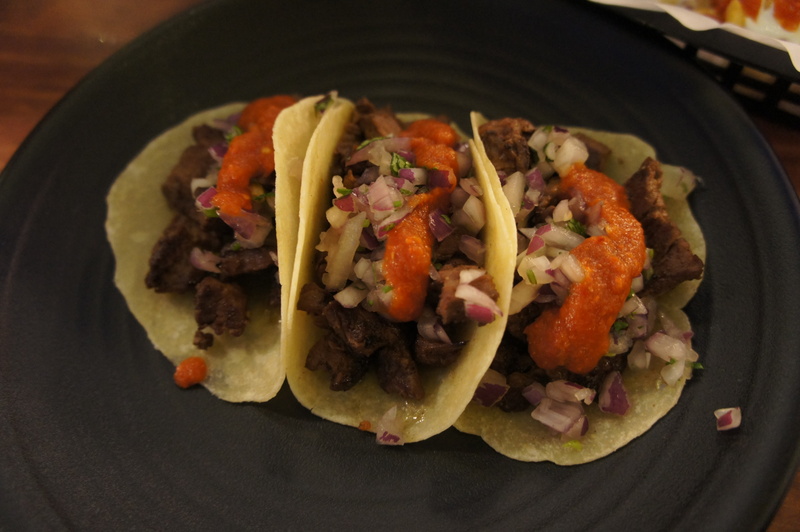 Make sure to make reservations before if you are going during dinner and on the weekend!